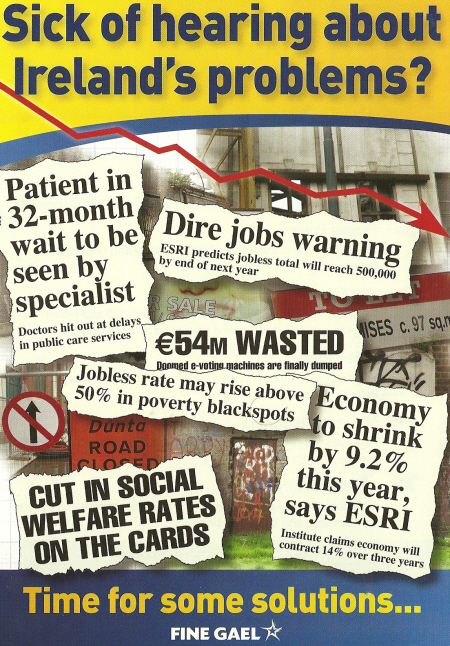 From the 2009 Local Elections a leaflet for successful Fine Gael candidate Pat Crimmins running in Donaghmede. 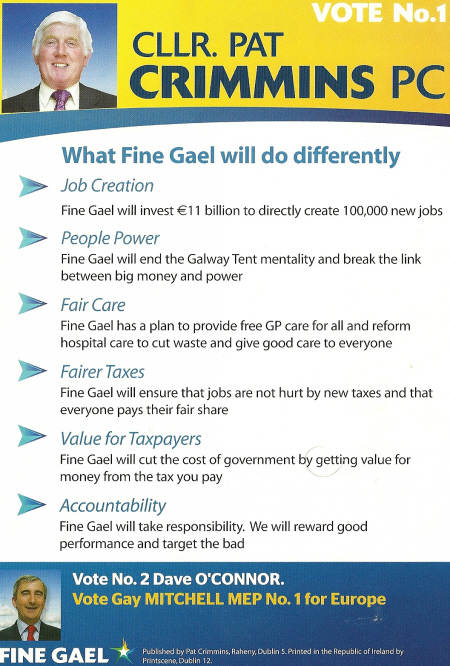 Little or nothing about the candidate (which from looking at some 2009 and 2007 Fine Gael material is less than unusual) other than a photo. It does concentrate on waste, unemployment and job creation. Nothing in it about the Banking crisis.